The last few months of the year are packed full of fun and family-oriented holidays. While these holidays are supposed to be fun, relaxing, and joyous, they can often become a stressful time. Whether you are preparing your home for relatives to stay, cooking Thanksgiving dinner for all of your friends, or planning a New Year’s Eve party at your home, it is simple to become overwhelmed. During this time of year, it is likely that most people will be stressed over one thing or another, but it is important to remember that the holidays are supposed to be a fun and relaxing time. You are supposed to enjoy time with your family, take a break from work, and enjoy making new memories. But when the stress sets in, this can be difficult. 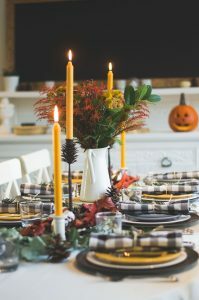 Our team at Clean Bees Homekeepers knows that the holidays can be stressful, which is why we want to offer up some tips to help make this time more enjoyable for you and your family! Our Northern Colorado home cleaners can help you with our one-time cleaning services and all of these tips! Read on and spend time trying to make the holidays more enjoyable. Whether your extended family flies in or lives close by, you will likely spend the holidays with relatives. Families can be overwhelming at times, we get that, but they are a special part of your life! Enjoy some time with your immediate and extended family over the holidays. Remember, family is what is truly important during this time of year and it is necessary to take some time out of your day to spend a moment with your loved ones. Take a hike in the foothills, go ice skating together, sit by the fireplace while you play games, and just enjoy each other’s company. The holidays will be over before you know it and you don’t want to look back and realize you didn’t spend any time with your family. If your home is the gathering spot for the holidays every year, you know what goes into the preparation and planning. From cleaning your home to readying the guest rooms and cooking dinner, you have a lot on your plate! It can become overwhelming and stressful in a hurry. Instead of creating a mile-long to-do list that you must tackle on your own, recruit members of your family (even the relatives who are visiting) to help. Remember, the holidays are supposed to be enjoyed by you too! Just because you are hosting doesn’t mean you have to do all of the work. Get your family to help with the extravagant dinners, give your children daily chores to help keep the home clean and ready for your guests, and give your spouse a shopping list to tackle for you. Put your family to work so that you can enjoy the holidays right along with them. When everyone helps take care of a few of your tasks, you will have more time to spend with your family. During the holidays, many people tend to try and do more. They want to make more side dishes for dinner, bake all of the Christmas cookies possible, provide relatives with delicious breakfasts every morning, and keep everyone entertained and happy. While it may be doable, it is simply too much! It is okay to do less and spend some time just relaxing. Stop pushing yourself to the breaking point to make everyone else happy! Your happiness is important too. Instead of making breakfast every morning, have your sister whip something up. Let people entertain themselves. Don’t make extra side dishes just because your brother doesn’t like mashed potatoes. You don’t have to go overboard every year to make others happy. The busy holiday season has a way of making people go a little crazy, like chickens with their heads cut off. Everyone is running from one store to another, always trying to complete a task on their long to-do list. There never seems to be a good time to relax. But we urge you to do just that. Schedule time in your day that you can spend on yourself. Even half an hour can help you relax, calm the nerves, and allow you to enjoy this season a little more. Do some yoga on your own, take a hot bubble bath, go for a walk, read, or do whatever else makes you happy and allows you to clear your mind. Self-care is super important year round, but it is extremely necessary during this hectic time of year. While you are spending time relaxing, make sure you don’t think about anything on your list, just be present in the moment. One of the best things about the holidays is the special family traditions. These are what make holidays more special and what you will remember as you grow older. Keeping family traditions alive can be difficult as the years go by. If it has been years since you have taken part in a special holiday family tradition, make this the year that you bring it back! Holiday traditions are special to the family. Many families take these traditions seriously when kids are young, but as they grow older, the holidays can go by without a mention of the tradition. Your entire family will be excited to bring these traditions back into the routine! If you have let your holiday traditions fade away, make an effort to bring at least one back this year. Your entire family will enjoy it more than you know. During the holidays, it can be simple to forget the purpose. It is not gifts, Black Friday deals, or any of those material items. The holidays are meant to be a special family time. You are supposed to spend time with your loved ones, make new memories, reconnect, and experience the holidays together. Make that a priority this year rather than the gifts and great deals. Don’t get more items for your family that will just sit on a shelf collecting dust. Instead of worrying about gifts, worry about being with your family and making new memories that you can carry with you for years to come. Experiences can create happiness, items cannot. 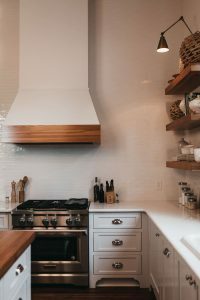 With so many different tasks on your to-do list, finding time to clean your home and keep it clean can be a challenge. That is where we come in! Our team of home cleaners can offer you one-time cleaning services to help get your home ready for the holidays and all of your special guests! If you want our help throughout all of the holiday season, our recurring cleaning services are a great choice. We clean homes in Fort Collins, Loveland, Laporte, Wellington, and other surrounding areas! Follow these tips to enjoying the holidays more and be sure to contact Clean Bees Homekeepers in Northern Colorado. You can ever request an estimate!